Enter mystical words and dream-like canvases with Poushali Das’ debut solo show at Mumbai’s Akara Art. 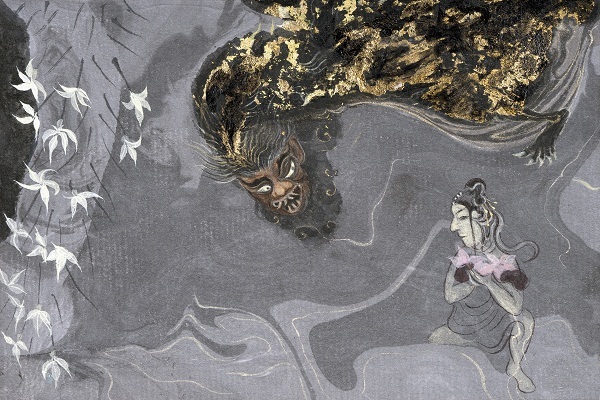 Featuring 15 works on silk and wasli paper, the exhibition takes inspiration from the traditions of the Bengal School and oriental miniaturist styles, with narratives borrowing from ancient mythical texts. Moonlit Offerings is on display at Akara Art (1st Floor, 4/5 Churchill Chambers, 32 Mereweather Road, Colaba), Mumbai until October 20. A collateral exhibition of the ongoing India Ceramics Triennale, this show by Vipul Kumar features intricate ceramic sculptures that underline environmental issues like global warming. 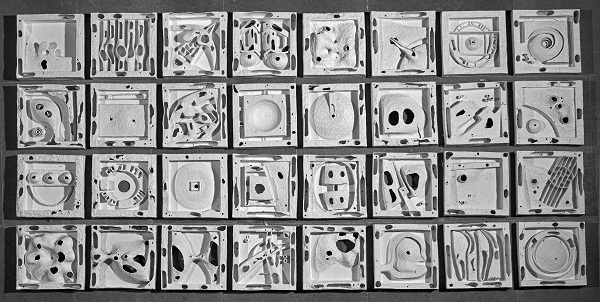 Straddling the worlds of stone-carving and ceramics, Sharma’s unconventional creations throw light on the concerns of the contemporary world. Earth Diaries is on display at Threshold Art (C-221, Sarvodaya Enclave), New Delhi from September 22 to October 20. Health conscious but can’t control that sweet tooth? Then Le 15 has just the perfect solution for you. The patisserie’s store in Bandra has come up with a new menu of healthy dessert options, created in collaboration with sports scientist Karishma Boolani of Humanics. Sample the Peanut Butter Chocolate Chip Cookie and the Cheesecake Brownie, both are which are keto friendly. 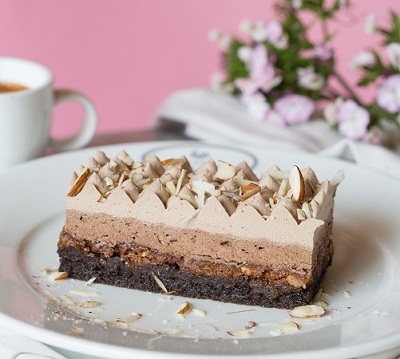 Or pick from the many gluten-free options like the Audrey, made of Belgian dark chocolate, dates, walnuts, coconut milk, and honey; or the Lucie, an eggless, chocolate and salted caramel tart. Our mouths are watering already! The healthy desserts are now available at Le 15 Patisserie at Bhane (317/3, First Floor, Dr. B R Ambedkar Road, Pali Hill, Khar West), Mumbai. Prices start at Rs. 100. The five-star hotel’s English pub, Jeff’s, is said to be one of the best in the garden city. Unwind here with continental dishes and some finely blended drinks. The Beer Fest has your favourite drink on tap, where you can choose from one pitcher to — if you and your gang are feeling ravenous — unlimited beers with starters. The Beer Fest @ Jeff’s is on at Jeff’s, Royal Orchid Hotel (Old Airport Road, No.1, Golf Avenue, Adjoining KGA Golf Course, Hal Airport Road), Bengaluru from September 20-30. Every music fan in the world shed a tear over the news of the recent passing of Aretha Franklin. And if her tunes are still playing on your mind, here’s a performance that will take you back to the golden days. 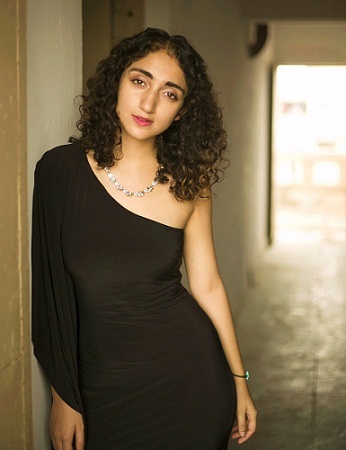 The NCPA presents a tribute to three legendary singers, Billie Holiday, Ella Fitzgerald and Aretha Franklin with young artiste Sanjeeta Bhattacharya taking to the mic. Accompanying her are Delhi musicians Rythem Bansal on keys, Takar Nabam on guitar, Sonic Shori on bass and Aditya Dutta on the drums. Here’s to the greats of Western music! Tribute to Legends: Billie, Ella & Aretha will be performed at the Tata Theatre (National Centre for the Performing Arts, NCPA Marg, Nariman Point), Mumbai on September 22 at 7pm. Popular for playing Nu Jazz, a genre of jazz and contemporary electronic music, Floyd Santimano’s Jam Band includes a group of versatile musicians. The band will belt out both original tunes and cover of various artists like Carlos Santana, Bob Marley, Stevie Wonder and Pink Floyd. The line-up has Floyd Santimano on keyboards and vocals, Shrey Sinha on guitar and vocals, Avik Lahiri providing bass and vocals, and Shivam on drums and percussions. Jazztronics By Floyd’s Jam Band will be performed at The Circular Square (No. 24, Doddakalasandra, Gubbalala Gate, Kanakapura Road), Bengaluru on September 22 at 6pm.